My obsession with cake mix cookies continues.... These are so good! As soon as I make these they seem to vanish! 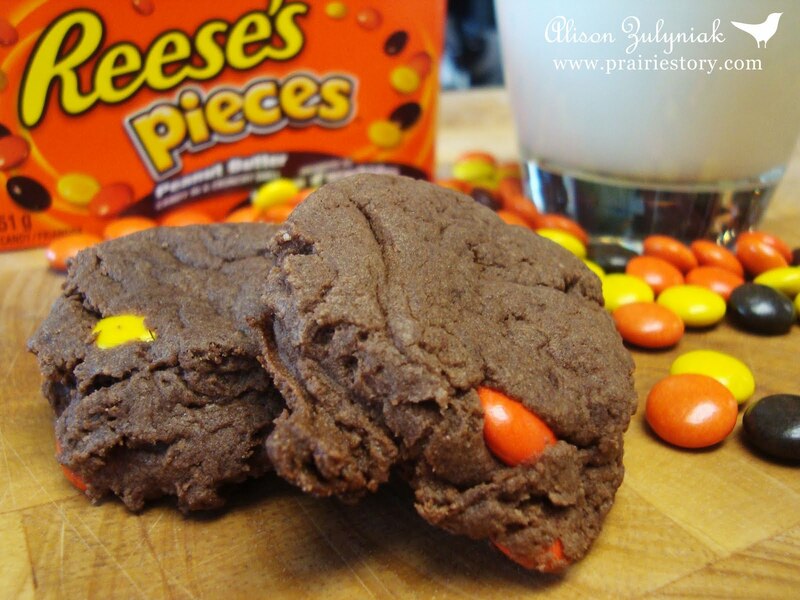 - In mixing bowl, combine cake mix, peanut butter, oil, eggs, and Reese's Pieces. - Drop 1 inch balls onto cookie sheet, then slightly flatten with bottom of glass. - Bake @ 350° for 8 minutes. Allow to cool on baking sheet. These cookies look sooooo yummy! I'm hosting my first link party Cast Party Wednesday and would love it if you came by and shared this yummy recipe.